On 1 July 2018 Austria will take over the Presidency of the Council of the European Union for the third time after 1998 and 2006. Since the Treaty of Lisbon has entered into force in December 2009, the role of the Presidency has, however, fundamentally changed. New players such as the permanent President of the European Council and the High Representative of the Union for Foreign Affairs and Security Policy as well as the strengthening of the Eurogroup and the extension of competences for the European Parliament have reduced the role of the respective rotating Presidency. How much room of manoeuvre remains to make a difference? And what are the implications for the upcoming Austrian EU-Presidency and its priorities? Every six months another EU member state takes over the Presidency of the Council of the European Union on the basis of equal rotation. From July to December 2018, it will be Austria’s turn again – for the third time after 1998 and 2006. Since the Treaty of Lisbon, however, the role of the Presidency has changed. 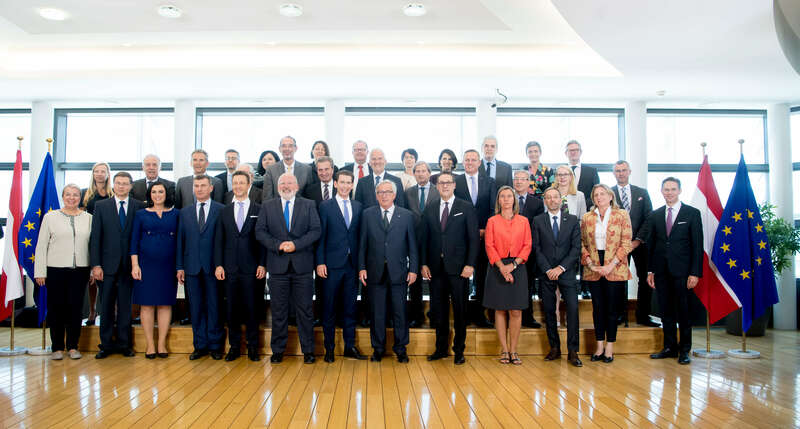 The European Council now has institutional status and is chaired by a permanent President and the Foreign Affairs Council is steered by the High Representative of the Union for Foreign Affairs and Security Policy. The Eurogroup and its President have been formalised and its significance has grown. The European Parliament has become much more powerful and also the trio Presidency strives for continuity while requiring closer coordination of the countries involved. Which competences remain for the rotating Presidency? Starting from July 2018, each of these Council formations will be chaired by the respective Austrian Minister. Austria will lead the meetings at all levels of the Council and ensure the continuity of the EU’s agenda. The Austrian government and its civil service are called upon to advance the Council’s deliberations on around 190 EU legislative acts, to ensure the proper conduct of legislative procedures and to coordinate and support the cooperation between the EU-member states. Thus, the first central task includes the planning and management of these meetings and its preparatory committees. The role as a mediator is thereby of crucial importance. The second key task is the representation of the Council in relations with the other EU institutions. In this context it is particularly important to reach agreements on legislative files in the so-called trilogues with the European Commission and the European Parliament. The limited time frame of six months, the respective legacy of the previous Presidency, external events and the European Commission’s monopoly on legislative initiatives determine the scope of influence of any EU Presidency. In addition, the Presidency must by definition act neutrally and impartially. Nevertheless it requires expertise and diplomatic skills to successfully negotiate legislative proposals. In the end, the success of a Presidency will be measured less in the enforcement of national standpoints than in the overall progress of European integration. Agenda-setting: drawing attention to certain topics and initiating debates; at the same time, working out solutions together with the European Commission. Agenda-structuring: by prioritizing issues on the European agenda, national interests can be better incorporated. In practice, this relates to defining the number of meetings within certain policy areas, convening informal meetings and structuring the agenda at meetings. Agenda exclusion: unwanted topics can remain explicitly unaddressed, decisions postponed and topics excluded from the agenda. 3. Stability in the neighbourhood – bringing the Western Balkans / South East Europe closer to the EU: Promoting good relations between the EU and its neighbours, with a focus on the Western Balkans and South East Europe. While the official Council meetings (table 1) will all take place in Brussels or Luxembourg, there will also be thirteen informal meetings at ministerial level, one informal summit and around 300 presidency events in Austria. The cost of the entire Presidency should officially amount to around 43 million euros and should in any case remain within the budget frame of 2006, which was rather close to 86 million euros. The “highlight” of the Austrian Presidency will be the informal EU summit of the heads of state or government on 20 September 2018 in Salzburg, which will be dedicated to the first priority area “security and fight against illegal migration”. Beyond that, two more major challenges will be on the European agenda during the Austrian Presidency: the budget negotiations for the Multiannual Financial Framework (MFF) from 2020 onwards and the conclusion of the United Kingdom’s exit negotiations in October this year. With regards to the MFF, Austria will most probably hand the ball over to the subsequent Romanian Presidency, also because its position still very much diverges from the one of the EU institutions. Similarly, the introduction of the indexation of the Austrian family allowance for parents whose children are not living in Austria has been set for January 2019 in order not to interfere with the smooth running of the Presidency. The Brexit negotiations in turn are led by EU chief negotiator Michel Barnier and Austria will not be directly involved. Nevertheless, the European Council will ultimately have to decide on the outcome of the negotiations, and the President of the European Council, assisted by the rotating Presidency, may have to mediate between different positions. A “no-deal” scenario would further pressure the Presidency and might also lead to responses in the financial markets. Finally, the upcoming European Parliament elections in May 2019 will also keep the Austrian Presidency busy. At the end of the year, the European Spitzenkandidaten will be announced and with the end of the parliamentary term – the period of the Austrian Presidency being the last “fully active half-year” before the elections – political pressure on successfully closing of as many of the open legislative dossiers will be high. EU-Presidency: more appearance than substance? Expectations regarding the EU Presidency should not be too high. Both the preparation and implementation of Council meetings and its numerous preparatory bodies, as well as the representation of the Council vis-à-vis other EU institutions, challenge the Presidency mainly with regards to its administrative, coordinative and mediating capacities and to a lesser extent its shaping powers. Nevertheless, the possibility to influence European developments still remains, and the Presidency is a good opportunity for Austria to distinguish itself in European politics. Estonia, for example, having held its “Digital Summit” in Tallinn, focused on the core topic of digitalization. Bulgaria, in turn, concentrated on the key importance of bringing the Western Balkans closer to the Union. At the same time, the informal European Council in Sofia showed that the Presidency’s competence is limited to setting the tone. The meetings of the European Council in the end are headed by its permanent President. Thus, Tusk’s leaders’ agenda as well as daily events determine the deliberations. Although Bulgaria’s priority “Bringing the Western Balkans closer to the EU” found its way into numerous media reports, and the political agreement on the Macedonian name issue could finally speed up the EU-enlargement process, the debate over the US’ exit from the Iran Agreement and a possible European response was and is perceived to be more urgent. The Austrian EU-Presidency certainly falls into challenging and critical times for European integration and should therefore prepare for the unexpected. However, it is precisely those moments during which an EU Presidency has to prove that it is capable to respond appropriately to sudden events and divergent views between EU capitals. To a large extent this is done by the President of the European Council and the High Representative for Foreign Affairs and Security Policy. Nevertheless, many other Council formations might feel the need for quick and coordinated reactions to daily developments. In any event, the Austrian EU-Presidency certainly falls into challenging and critical times for European integration and should therefore prepare for the unexpected. Then again, the existing scope to come up with own initiatives should be exploited. With its focus on “security and the fight against illegal migration” at the informal summit in Salzburg, Austria will undoubtedly pick up an area, where also the broader public expects a higher level of joint action at European level. Furthermore, it seems likely that the much needed revision of the European asylum and migration system will be handed over to the Austrian Presidency. Here the Austrian government would intend to advance on elements of security, such as improving the management of the external border of the Union and the proposal of President Tusk to create “regional disembarkation platforms” outside the European Union, and for the time being leave the question of relocation of refugees aside. Austria is particularly keen to revive the concept of subsidiarity. In addition to the organization of various events and conferences on subsidiarity and a tentative Subsidiarity Pact, the first results of the Task Force on Subsidiarity set up by the First Vice-President of the European Commission, Frans Timmermans, are eagerly awaited in July this year. Both the focus on the fight against illegal migration and the strengthening of the principle of subsidiarity, but also the position on the MFF and the planned indexation of family allowances give evidence of the close link between domestic politics and European standpoints. This, of course, will require a balancing act in the upcoming six months. Austria will present itself as a bridgebuilder and is likely to refrain from directly formulating – thus rather postpone – its own policy preferences. Yet, Austria’s chancellor, Sebastian Kurz, will remain faithful to his result-driven, security and economy oriented agenda-setting. In many policy fields though, the present governmental vision on the future of Europe still remains vague and rather defensive, particularly due to the broad range of European viewpoints within the current governmental coalition. Taking the example of the MFF, Austria’s allies at the European level continue to be the net budgetary contributors and economic power houses Netherlands, Ireland, Finland, Sweden, and to some degree Germany rather than the Visegrád countries Hungary, Poland, Slovakia and the Czech Republic. However, now with Lega in Italy and CSU in Germany in the game, alliances might change quickly depending on the issue at stake. 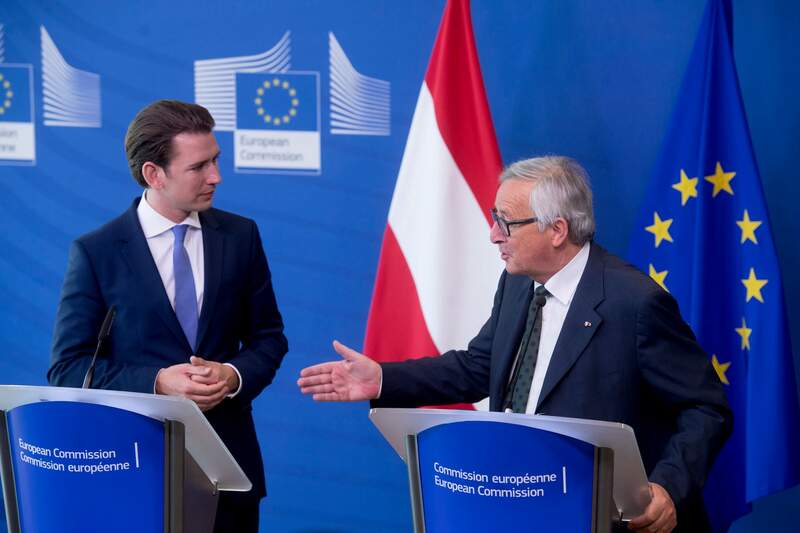 Austria, in any case, would be well advised to come up with its own European initiatives beyond the security and subsidiarity debates, which are already well under way. The window of opportunity to kick-start and implement medium to long-term European reforms remains open – with a historically rather positive public EU-sentiment as well as an overall positive European economic growth performance. It would be the right time to ambitiously promote the debate on the future of Europe. In this context, Austria could address issues such as the deepening the Euro area, fair taxation, measures to address the social and economic disparities between the Member States and increase exchanges between young people in European schools and universities. A further thematic focus could be placed on climate and environmental protection. With the demand for a more ambitious implementation of the Paris Climate Agreement, Austria would take up a virtually vacant position and focus on one of the most urgent global challenges of our time. A strong European engagement of Austria would help lifting the sails in due time for the upcoming European Parliament elections and provide much needed dynamism for European reforms.